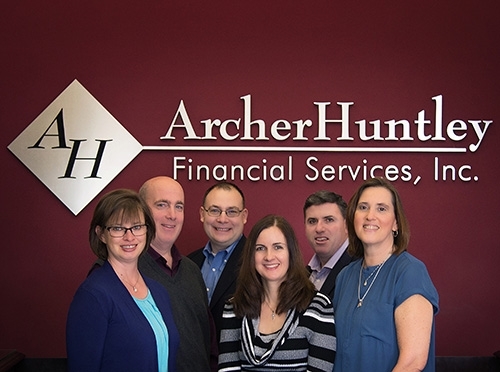 Archer Huntley Financial Services, Inc., provides financial leadership, takes a genuine interest in our clients' well-being, and commits resources to creating customized wealth planning to meet their goals. If this fits your criteria, we should talk. Choosing a wealth manager to help with your financial affairs is one of the most important decisions you may ever make. At Archer Huntley Financial Services, we appreciate the enormity of such a decision and are committed to understanding your objectives and deploying our extensive resources to help achieve those goals. We are an accomplished, small-by-design financial planning firm staffed by knowledgeable, experienced Private Wealth Managers-each is a Certified Financial Planner®-who provide investment leadership for our clients. Our Private Wealth Managers take pride in delivering exceptional personal attention while building relationships that are founded on traditional business values. The emphasis we place on relationships has earned the respect of our clients and peers. Not everyone is a good fit for us. So then, who is? To find out, take the first step: contact our office for a complimentary consultation. If we see eye-to-eye and if you qualify, we can begin the process of moving you closer to your dreams. As part of our private client group we'll support you with our Stewardship PlanningTM process-focused on enhancing your financial comfort.